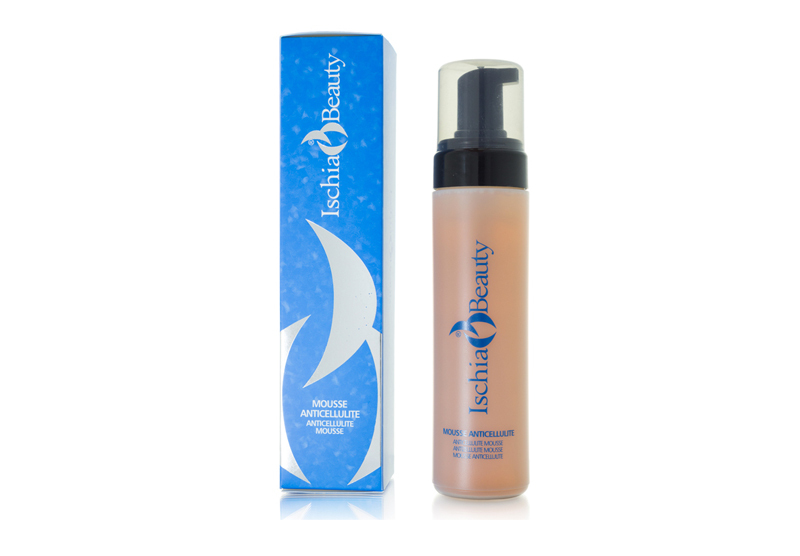 This mousse is an innovative foam lotion based on Marine Salts, Caffeine, Thermal Water and Ivy Extract. This mousse is an innovative foam lotion based on Marine Salts, Caffeine, Thermal Water and Ivy Extract. It helps to eliminate the toxins and metabolic residues pre- sent in the skin, synergizing the combined action of the Sea Salts and the Saponine contained in the Ivy. It provides an effective treatment for “orange-peel skin”, restructuring it deeply and leaving it glowing, soft and velvety. Carnitine intervenes in the regulation of thermogenesis and cellular detoxification. Moreover it optimizes the use of ramified aminoacids in muscular tissue. The Ophylline Favours the disposal of cellular lipidic deposits on a dermo epidermic level and contributes to the reduction of cellulite congestive edema. The purine base of Caffeine, the Theophylline and Carnitine favours the lipolysis process for fat in hips and thighs. Can also be used during the pregnancy. Instructions for use: shake the bottle. Press the dispensing cap until the foam arrives. Apply it to the skin areas concerned, massaging lightly. The foam is absorbed at once. N.B. : eventual deposits at the bottom of the bottle are a GUARANTEE of the quality of the product. These deposits dissolve and become active only when the bottle is shaken, thus ensuring the maximum efficiency and activity of the foam when applied to the skin. The quality and effectiveness of the product are in on way affected.